1 Yonge St will be the new hot spot for shopping, restaurants, entertainment, hotel space and community life. The Toronto Start building will receive an additional 10 stories. This new prestige development will offer 6 million square feet of accommodation space and 3 stories of retail space. The new urban development plan is to widen the sidewalks around the towers. In the center of the towers, there will be a courtyard with beautiful landscaped grounds. Residents will also have access to the climate-controlled path allowing them easy access to Union Station. Pinnacle International plans on making a remarkable new community, with luxurious lobbies and desirable interior suites. The one of a kind amenities will be fit for all lifestyles. The prestige corridors will resemble a hotel-like feel, with contemporary design and wide space. The lobbies will offer a seating area for residents, a 24 hours concierge, great design, scenic Toronto views, and high speed elevators to take you up to your luxury suite. For more detailed costs, visit our price list. Spacious suites with breathtaking views of either the lake or the city. Gourmet Chef’s Kitchens with modern cabinet designs, spa-like bathrooms, in-suite laundry, and functional layouts. For more information on layouts and pricing, please register below. Register now to be the first to recieve the pricelist and floorplans. The Toronto Star building sold off some of it’s land to Pinnacle International, who proposes 5-6 high rise towers on this prime real estate land. 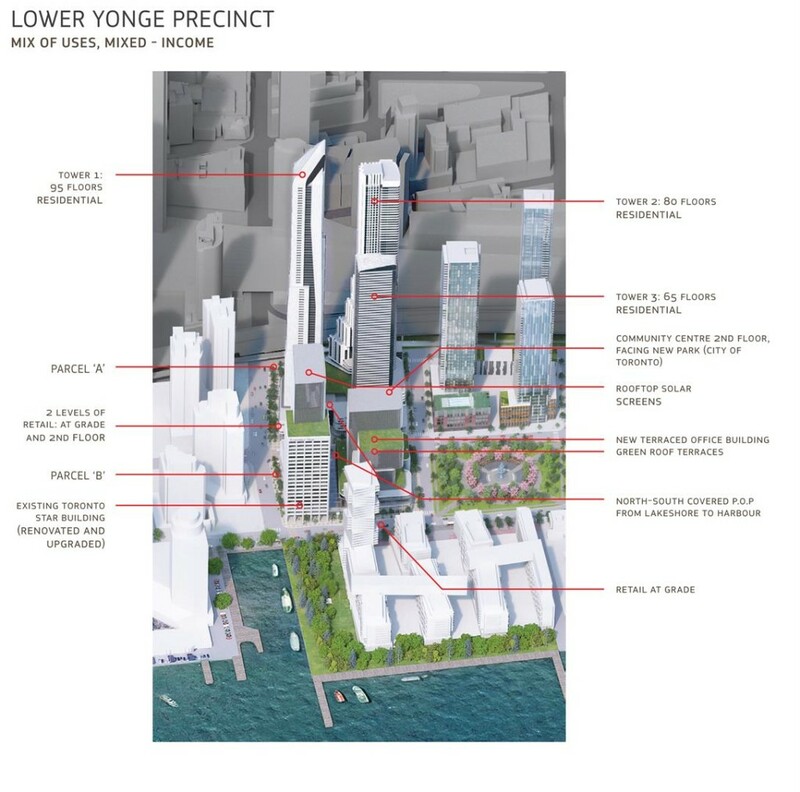 The Toronto Star building itself is planning to stay at the corner of Yonge and Queens Quay Street, however, redevelopment is in progress for the land that had the former printing plant and distribution centre, as well as the parking lot on it. The architect, Hariri Pontarini, has planned to make this the new premium landmark. 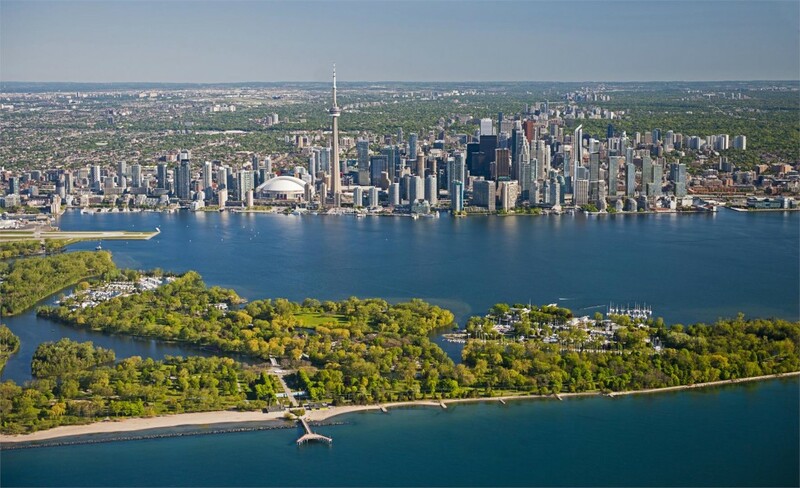 Overlooking the lake and the Toronto skyline, these new prestige developments plan on being the highest towers in Canada and situated on the longest street in the world that dives the city into east and west. 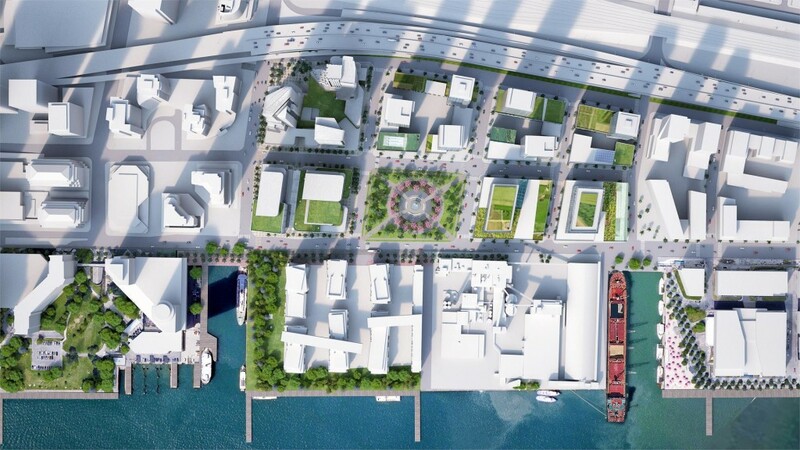 The current dreary site will be completely transformed by glass high rise towers, restaurants, retail space, a hotel, a public square and 17 meter promenade. Rising above the city, towers are proposed to be between 70 and 88 storeys tall, if the zoning and city permits. These will be the tallest towers in the city. Hariri Pontarini Architects plan on towers that will be award-winning in design. 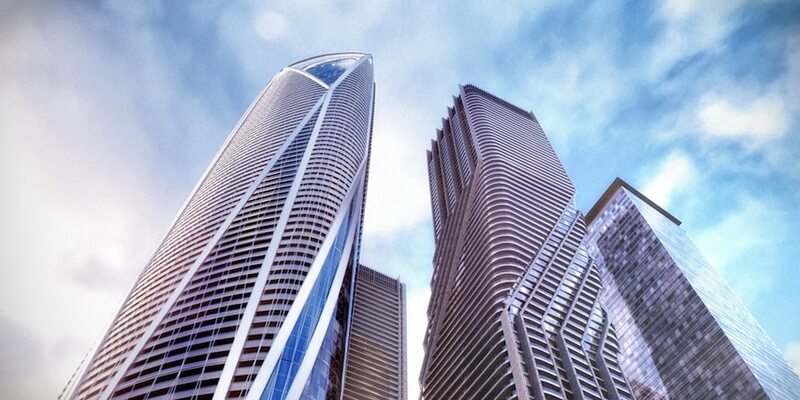 All towers are proposed to be different and to give off a curve impression. There will be over 4,100 Prestige condo units available for residence. 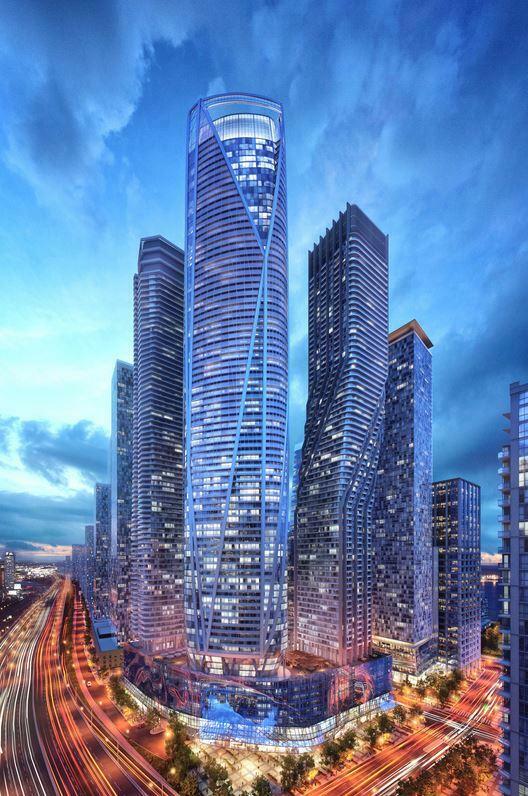 1 and 7 Yonge Street will be the new address, but the other towers will most likely have different addresses. 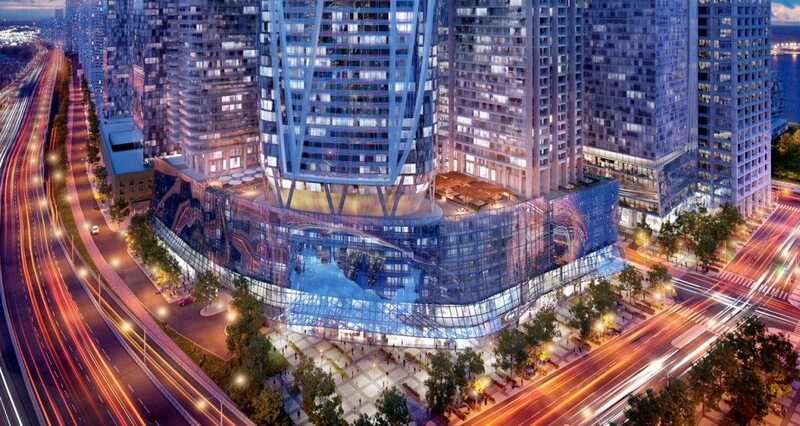 A new condo development in Toronto, Prestige Condos at 1 Yonge, will provide discerning buyers with a wealth of amenities and options. Developed by Pinnacle International, the project is currently in the preconstruction phase. When the project is complete, which is scheduled to occur in 2019, it will contain 4,137 luxury and lake-view units in six buildings. New Prestige condo projects are certainly not anything new to Toronto. Over the course of the last year, Toronto has seen its fair share of new condo projects. 1 Yonge Condos is not just any condo project, however. The new development will take full advantage of the latest trend toward mixed-use and include not only the condo but also a hotel as well as office and retail space. Also notable is the fact that the new project will be the largest in the country, reaching a height of between 70 and 98 stories among the four total residential towers to be included in the project. In total, Pinnacle Developments spent approximately $250 million to purchase the land on which the project is being built. Hariri Pontarini Arhitects, a Toronto-based architectural firm, has been hired to design the project. The firm has previously handled such projects as Ordinance Triangle, FIVE, Shangri La, One Bloor, and Massey Tower. Prices for Prestige condo units are anticipated to begin at $250,000, with prices per square foot expected to begin at around $1000. 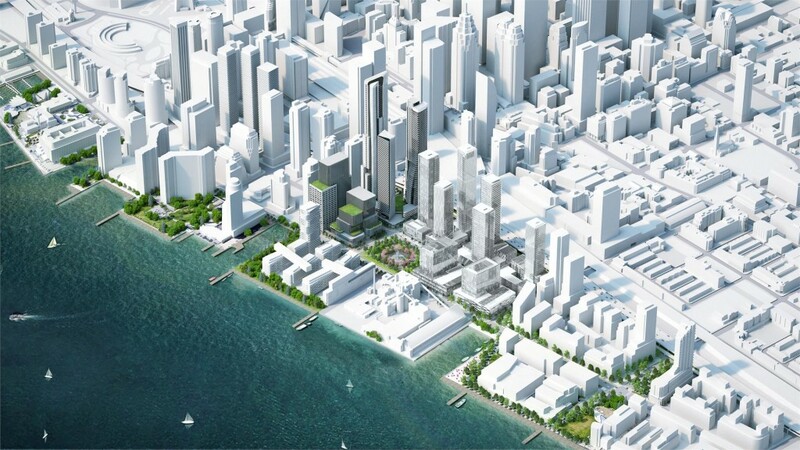 The massive amount spent to procure land for the project certainly seems to have been well worth the price, as the new project will have one of the most highly coveted addresses in Toronto, Yonge Street on the harborfront. Along with office and retail space, One Yonge condos will also feature a public space and a state-of-the-art fitness center, a restaurant/lounge, and upscale recreation facilities. In total, the project will contain more than 800,000 square feet of commercial space. Pinnacle Development certainly has the experience to bring such a project to fruition. The development firm has already completed two condos along the waterfront: Success Tower and 33 Bay St. Condos. In the past, Pinnacle has handled projects from as near as Vancouver all the way to San Diego. Already onsite is the Toronto Star building, located at the corner of Yonge and Queens Quay Street. The building is slated to remain in place, although it will undergo a reworking. Everything else on the site, which encompasses newspaper distribution buildings and a former printing plant as well as parking lots, will be redeveloped as part of the project. For the moment, plans for the project remain preliminary; to date, they include the Prestige project becoming the tallest waterfront condo in the country. As such, it will outrank Eau Du Soleil. Many believe that 1 Yonge Condo could be a complete game changer for the Toronto skyline upon completion. We represent you, not the builder. The Price List, Floor Plans, and Current Incentives will be sent to your email instantly.